When I found this dress online, I saw it when it was at the regular price and I debated about whether it would be as pretty in person as it was online. Thankfully, it was still available when I was ready to get it. I got this dress for under $20, which was even more incredible to me when I saw how wonderful it looks on and how comfortable it is. The fabric has a slight stretch, its cut almost like a swing dress but its not quite as roomy as this one. I’m wearing a 22 and it is quite long which is perfect for the office. Since I live in Phoenix, and corporate culture tends to be a little bit more relaxed here in the summer time, I’ll probably not wear a blazer over it, but I think it would be really cute with a cropped navy blazer. 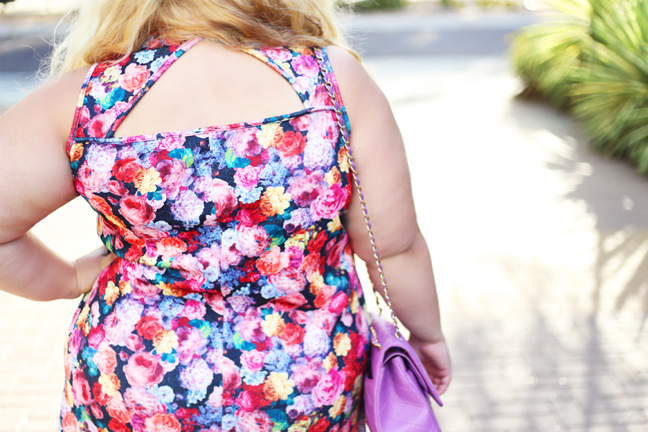 Get this dress now – or you might regret it, because its on clearance!